In case you wanted to participate in the March Talent Showcase and thought it was too late, I had someone drop out unexpectedly so there’s a spot that has opened up! Again, this is an interview/feature opportunity on BlytheLife.com to bring attention to you and your work! Concerned that your work isn’t quite what I’m looking for? In the past, I have interviewed: customizers, sewers, knitters/crocheters, miniature makers, and so much more! As long as it is Blythe (Kenner, Neo, ADG, Middie, and/or Petite) related, I’m pretty open to anything and everything – I just really enjoy interviewing people! My original post on the 2017 March Talent Showcase was here. There is more information on How to Get Featured here, and you can email me at michelle@blythelife.com for more information as well. If you’re interested, get in touch with me! I try my best to reply to emails within 24 hours. 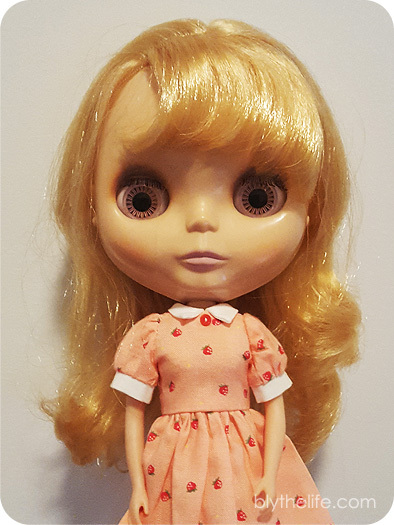 I’ve been spending the last several weeks brainstorming a whole list of DIY Blythe-related projects that I want to tackle. The list is getting a little ridiculous, and my sister looked over my shoulder the other day and said “What if nobody actually wants these tutorials?” Of course the first thing I did was make a face at that idea, but then doubt and uncertainty started to set in. What if nobody really wanted to read the tutorials? So my question to all of you today is: What kind of DIY tutorials do you want to see? Share below! For those curious, I want to tackle making some miniature food items and furniture (which will be quite photo-heavy tutorials! 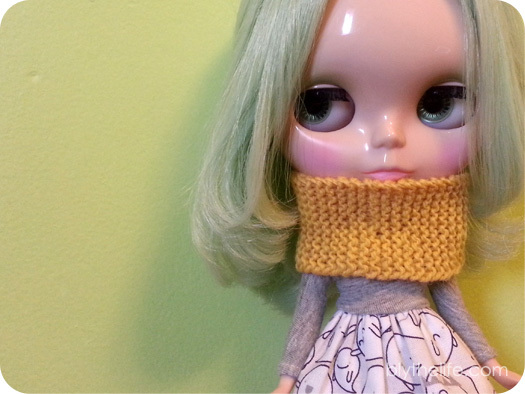 ), and also continue to do paper craft and knitting/crocheting DIYs for Blythe (Neo, Middie, Petite) as well. Any suggestions made, I’ll do my very best to make it happen if it’s within my abilities to do so! I currently have no plans for customization tutorials – it’s not really my forte as I am not a customizer. What customization abilities I do have, I will share tutorials on those (and have in the past). WANTED 5 talented people (or groups) in the Blythe community to participate in the annual BlytheLife.com March Talent Showcase! It’s super simple: I interview you for the March Talent Showcase, and we discuss how you came to do what you do, and then I share that interview (and photographs of your work) here on BlytheLife.com in the month of March. Interviews are typically 8-12 questions in length, we talk about how you came into the Blythe hobby, how you got started in your awesome talented thing that you do. Some people opt to do a giveaway (completely optional!) or include a coupon code (also completely optional!). Some examples of previously showcased talent includes: customizers, knitters, sewers, crocheters, eye chip painters, and more! The only caveat is that you must have been doing this thing that you do for 1 year or less. If you’re an Etsy shop owner, that would mean that you’ve had your shop for a year or less. If this sounds like something that you’d be interested in doing, please email me (michelle@blythelife.com) or check out the page on How To Get Featured for more information on getting featured here on BlytheLife! Happy new year, BlytheLife readers! I took an accidental hiatus that happened due to the holidays, scheduled work, and extra work. I’m (sort of) well-rested and ready to tackle 2017 with a new sense of gusto. 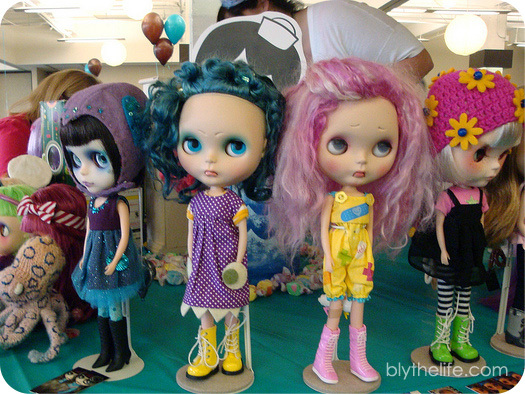 A little throwback to BlytheCon Portland, June 2011. 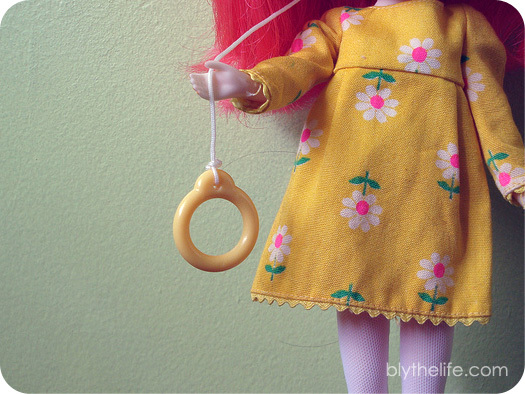 There are a lot of upcoming big Blythe events this year, and I’ve updated the Events page here on BlytheLife.com for easy reference. 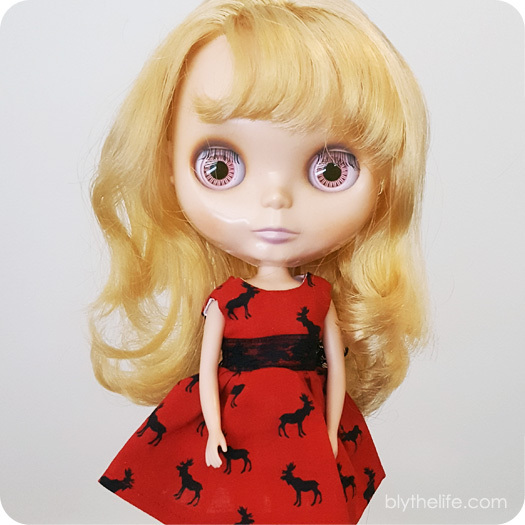 First up is BlytheCon Europe, which is happening in Spain in the month of May! I’m really excited about all the events happening this year, and while it would be an absolute dream to attend every single one of them and meet some fantastic people, I will be attending only one this year. In October, I’ll be at BlytheCon Brooklyn! It’ll be my second time in Eastern USA (the first being Florida when I was 5!) and first time in New York so it’ll be really exciting for me. I’ll be sure to cover the event (premeet and actual convention) and share photos here in late October/early November. Other things coming up for BlytheLife is the March Talent Showcase! It’s been a fairly annual event here on BlytheLife. What I do is interview people for the month of March who are new talents to the doll community. By ‘new’, I mean people who have done something for a year or less in their chosen crafty avenue (customizing, sewing, knitting, miniature making, etc.) and showcase them, their work, and their online shop (if they have one). If this is something that sounds appeal to you, please fill out the form here or email me for more information! Continuing in 2017 will be the Question of the Week, the monthly Middie Mondays, Blythe On A Budget, as well as Love, Sophie. I know I haven’t written one in a while, but believe you me, Sophie is still here and causing a ruckus. I also have plans for DIYs, tutorials, patterns, and more!